I am a professional harpist, born in Bulgaria and currently living in Antwerp, Belgium. I finished my harp education with "Greatest Distinction" at the National Music Conservatory in Sofia, Bulgaria.After that I was selected as first harpist in the Radio and Television Symphony Orchestra in Sofia. I have been on numerous TV and Radio shows, recordings of movie music, etc. After a solo recital given in june 1984 by the greatest harpist of the 20th century, Nicanor Zabaleta, I decided to improve my playing further on. 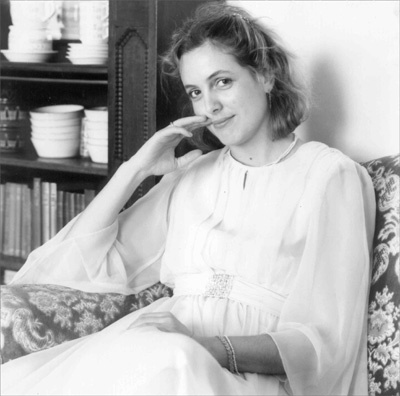 In september 1989, with a scholarship received from Denise Tolkovsky, director of the "Alex de Vries Foundation" I went to the Royal Conservatory of Music in Brussels for specialization in the harp class of Professor Susanna Mildonian - one of the best harp players of the present time. August 1991, Santiago de Compostela, Spain - in the summer course for Spanish harp music given by Nicanor Zabaleta. August 1992,1993 and1994, Sienna, Italy - summercourses for harp in "Academia Musicale Chigiana" by Susanna Mildonian where I received "Diploma di Merito" . Later on teaching became a passion for me. Now I teach at the Music Academies of Brussels - Etterbeek and in Beveren. During the Easter and summer holidays I participate in the Music Camps in the European Centre "La Foresta" in Vaalbeek, Belgium. harp and violin; harp and flute; harp and voice; harp, flute and violin, etc. For our performances we have a large repertoire. We perform solo recitals, light classical, romantic or modern music, Christmas Carols, intimate shows, background music, birthday parties, weddings, etc. We are as happy to play in big halls as in a church or at private celebrations, music for any occasion, taste or need! 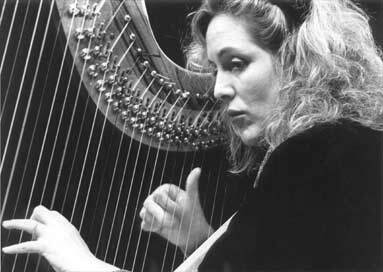 I work also as a freelance harpist playing with the "Philharmony van Vlaanderen", "Philharmony from Liege", "De Munt", "Night of the Proms", "Il novecento", etc. * For you I have found some interesting links related to harp music.